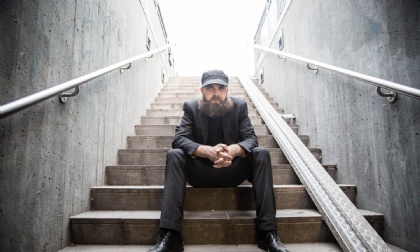 A distinctive language, an original tone, a unique voice – all these phenomena are rarely experienced as convincingly as in Christian Winther Christensen’s music. Earlier periods may flicker up once in a while, yet this music is fundamentally and radically of the 21st century. Yes, these are classical instruments. And yes, this is New Music. But the familiar elements are assembled and rearranged in ways that make you want to listen to this music again and again, wherever you are, whatever you’re doing. On his first encounter with this album while sitting in a Berlin park our First Listener, radio maker Peter Meanwell, noted: “... within this music is an obsession with the detail of being human. The peculiarities that make us unique, the infirmities that construct character. It is the embrace of the everyday ...” — SCENATET are one of the most innovative ensembles in Europe – we are delighted to welcome them here with us at col legno! All tracks written and composed by Christian Winther Christensen (published by Edition·S). All tracks performed by Scenatet - Ensemble for Art & Music. In Samuel Beckett’s novel Watt, written when the author was on the run in the south of France during WW2, our eponymous narrator gives a detailed, yet rigorous account of his employer Mr Knott’s domestic peculiarities. Each day Mr Knott would rearrange the “solid and tasteful” furniture in his room – his dressing-table would be in a different place on Tuesday than it was on Monday. His night-stool and wash-hand stand and tallboy would all move around on a daily basis too. Solid and with taste, yet subjected to frequent changes of position – this Beckett- like mantra runs through my head as I reconstruct my notes from that first listen to Christian Winther Christensen’s new record. Sitting in a rather unspectacular Berlin park on an unseasonably warm late autumn afternoon I was plunged in to a world of detail, of precision, of sonic expression that feels warm and familiar, yet fundamentally altered. Here within Christian’s world, one which is unassuming, not shouting too loud to be noticed, the solid and tasteful have been rearranged to construct something entirely new. These are instruments that we recognise, of course. Like Mr Knott’s dressing table and night stool, there is a piano, yes, and a guitar. There is a flute and a clarinet. But like a bag of chocolates left in a pocket they have melted down and re-solidified in to a new form. Timbres recombined to birth a mechanical beast that clumps like an organic being. Metal on metal, the multitudinous quality of strings, the slapping, the twanging, the micro-ricochets, the hammering. The piano, through its preparations, is no longer orchestra but joyous percussion again. The flute is no longer Syrinx, that nymph transformed, but breath expended, released, not as a sigh, but a tyre being let down, and re-pumped. Distinguishing between instrumental voices is no longer a concern. This is a one-(wo)man band, each instrument organically bonded to the other. Not bigger than the sum of its parts but made bigger because each part is crafted with consummate care and attention. If the Futurists made music that incorporated and reflected the noise of the city, this is music that embraces the sounds of (mundane) labour. Of wiping and sanding, and pumping and polishing, of collapsing and reconstructing. It has the air of something flat packed being assembled and rebuilt, each time a little different, each time with a flaw in a different place. This is not a derogatory comparison, for within this music is an obsession with the detail of being human. The peculiarities that make us unique, the infirmities that construct character. It is the embrace of the everyday in this sound world that distinguishes the enterprise. It is a mundane futurism, that revels in the rearrangement of our sonic reality. Christian Winther Christensen has his own unmistakable style and has proven himself to be an entirely contemporary composer pushing the boundaries while at the same time relating to music history through quotations and intimations that comment on and create ironic distance from new music, turn it upside down, and give it a completely new dimension. He is one of a number of younger composers in Europe that have each found their own musical language. Together they are creating a framework for a completely new way of composing, for composers that no longer take their cues from the composers of the 20th century. “The new trends bring a certain freshness. Of course I am influenced by the older generation since it is them I have immersed myself in. I know all of Lachenmann’s and Ligeti’s works but what I am really inspired by now is my own generation,” says Winther Christensen. And as he is inspired by his own generation of composers, he too in turn influences the musical developments of his time through his works. 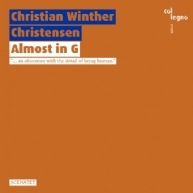 Christian Winther Christensen studied composition with Bent Sørensen, Niels Rosing-Schow, Hans Abrahamsen, and Hans-Peter Stubbe Teglbjærg at the Royal Danish Conservatory, and with Frédéric Durieux at the Paris Conservatoire. The ensembles and orchestras that have performed his music include e.g. Ensemble Mosaik (DE), the London Sinfonietta (UK), Curious Chamber Players (S), DissonArt Ensemble (GR), Ensemble Alternance (F), the Arditti Quartet (UK), the Silesian String Quartet (PL), Oslo Sinfonietta (N), Black Hair Ensemble (UK), Caput (IS), Interensemble (IT), Ensemble Aleph (F), the Athelas Ensemble (DK), Figura (DK), the Esbjerg Ensemble (DK), and Zoom (DK). His works have been presented at the Tage für Neue Musik 2010, ISCM Festival Sydney 2010, Festival di Nuova Musica 2008, as well as Nordic Music Days, UNM Festival, SPOR, Athelas, Wundergrund, Suså, and Musikhøst. Christian Winther Christensen has been awarded the Léonie Sonning Talent Prize and the Schierbeck Prize and receives yearly grants from the Danish Arts Foundation. After his studies in Freiburg and Odessa Manuel Nawri perfected his musical training as a Conducting Fellow in Tanglewood and at the renowned International Ensemble Modern Academy in Frankfurt. 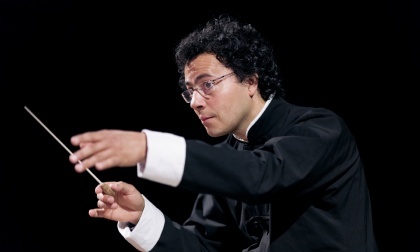 As a conductor he works with the German radio orchestras in Berlin, Cologne, Stuttgart and Saarbrücken, the Basque National Orchestra, Essener Philharmoniker and Staatsorchester Frankfurt / Oder, and he is regularly invited to international festivals, e.g. Festival d’Automne Paris, Lucerne Festival, Warsaw Autumn, Israel Festival, and festivals in Melbourne, Brisbane, Beijing, Shanghai, Hong Kong, Moscow, Bergen and Reykjavik. Nawri’s discography includes recordings with Deutsches Symphonie-Orchester Berlin, WDR Sinfonieorchester, Ensemble Modern, and others. He is the musical director of the biannual New Scenes at Deutsche Oper Berlin and has conducted opera productions in Berlin, Essen, Frankfurt, Taichung, Cologne, Melbourne, Moscow, Hong Kong, Basel and Paris. Manuel Nawri shares his passion for music as a professor at the universities in Berlin and Saarbrücken. SCENATET were founded by artistic director Anna Berit Asp Christensen in 2008 and move in a cross-genre field of music, drama and happenings towards areas of as yet undefined genres. The ensemble aim to create conceptual art works of high quality in which music is part of a larger whole. They engage in many different types of productions, from theatrical and artistically unique projects to more classic productions, including many new works and formats realised in close collaboration with composers, directors, artists, filmmakers as well as festivals and art spaces. A number of SCENATET’s projects and collaborations have been developed into CD recordings and film footage – most recently the music and art video Angel View Movie, based on composer Juliana Hodkinson’s theatrical concert Angel View, and produced in collaboration with film director Michael Madsen. SCENATET consist of twelve musicians as permanent members and are recognized as one of the most innovative and experimental ensembles for music and art in Europe. They work with the younger generation of composers of the Danish and international avantgarde scene and have performed compositions by e.g. Peter Ablinger, George Aperghis, Joanna Bailie, Kaj Duncan David, Jagoda Szmytka, Christian Winther Christensen, Juliana Hodkinson, Simon Løffler, Jessie Marino, Sarah Nemtsov, Marianthi Papalexandri-Alexandri, Niels Rønsholdt, Francois Sarhan, Salvatore Sciarrino, Simon Steen-Andersen, Bent Sørensen, Manos Tsangaris, or Jennifer Walshe. SCENATET are highly visible on the international art scene and have toured the cultural hubs of Europe, the United States and Asia, performing premieres at established venues and renowned concert halls. They also perform specially designed concerts in unexpected yet familiar surroundings, such as parks, libraries, backyards and private homes, to establish a more direct contact with their audience. They have been invited to play at a number of renowned festivals, such as Ultima (NO), Transit Festival (BE), Huddersfield Contemporary Music Festival (UK), Klang Festival (DK), Borealis (NO), November Musik (NL), Shanghai New Music Week (CHN), SPOR festival (DK), MATA Festival (US), Maerz Musik (DE), Bergen Festspillene (NO), and Warsaw Autumn (PL). In 2018 SCENATET started off the year performing at two of the most cutting-edge concert series for new experimental music in Europe, Kammer Klang in London and Kontraklang in Berlin, inter alia premiering Christian Winther Christensen’s piece Freunde. In June, the ensemble presented Salvatore Sciarrino’s Aspern Suite (1979) at the Copenhagen Avantgarde Festival Klang, before embarking on an extensive tour with Jessie Marino’s new composition, Nice Guys Win Twice. 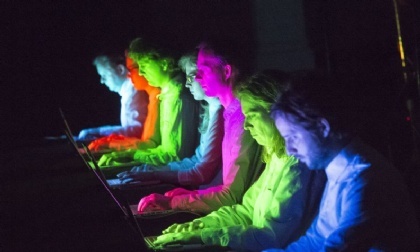 This 50-minute concert piece featuring ten performers, live electronic audio and video was premiered at the renowned Internationale Ferienkurse für Neue Musik in Darmstadt, followed by performances at Transit Festival (BE), Gong Tomorrow (DK), Huddersfield Contemporary Music Festival (UK), and Borealis (NO). From 2012 to 2014, SCENATET represented Denmark in the prestigious EU project NEW: AUD – New Music: New Audiences, developing new concert formats for contemporary classical music. SCENATET receive a multiannual grant from the Danish Arts Foundation and are supported by several other leading Danish foundations. Anna Berit Asp Christensen is an artist and curator with strong roots in both classical and new music. Her activities are partly based on her past as a practising, classically trained musician, and partly related to comprehensive work on the theory and dissemination of music. Her practice is characterised by a constant investigation of the potential of experimental art music as well as its range and position on the contemporary art scene. Christensen’s impressively broad knowledge of repertoire – also within various art forms, ranging from art music and sound art to performance art, modern dance and concept art – finds expression in her works, which mainly seek to link up with other art forms in order to place music into new perspectives. A characteristic feature in her work are skilfully composed meetings, both between different musical genres and between music as a unified genre and other art genres. Since 2007, Anna Berit Asp Christensen has been the director and artistic director of the SPOR festival in Aarhus. She is also the artistic director of SCENATET – ensemble for art and music, which she founded in 2008. The ensemble is her principal artistic and curatorial platform, through which she has inter alia created and developed the projects "ConcertWalk", "DokumentarKoncerten", "Living Room Installationer", and "Backyard Pictures", the latter in collaboration with composer Bent Sørensen. Currently she is working on BackYardOpera, again in collaboration with Sørensen; the project will premiere in August 2019. Christensen also directs musical dramatic works, most recently Salvatore Sciarrino’s "Aspern Suite" in June 2018, and she does solo pieces. In 2013 she contributed the sound installation "The Singing Trees" to the art exhibition Geist Glorup on Funen. The sound piece, which was installed in a cluster of old chestnut trees, was based on lullabies collected from people familiar with the Glorup Estate either personally or through earlier generations. The five trees each had their separate compositions and together made up a choir of singing trees, which – as a musical echo – ‘retold’ the sound of the estate. In 2011, Christensen was granted a six-months residency in Berlin by the Danish Arts Council. 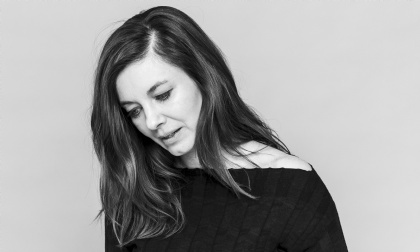 She has been appointed as a member of several cultural foundations and committees, and inter alia is a board member of Danish Dance Theatre and of SNYK, the national centre for contemporary and experimental music and sound art in Denmark. My collaboration with SCENATET began at the 2014 SPOR Festival, where they played Nachtmusik [ohne eine aufdringliche Nachtstimmung]. Since then we have continued working together, and I have written two pieces especially for the musicians of SCENATET, to be premiered by the ensemble: Chorale for eight musicians, and Freunde for four people in a circle (the latter is not on the album as it would be impossible to reproduce on a CD). SCENATET are an ensemble particularly well suited to my music: a close-knit group with enough time to go into detail, and musicians who thrive on a challenge – both as regards the mastery of their instruments, and by occasional tasks that force the musicians out of their safe hiding places behind the inst- ruments. The compositions on this record have thus been carefully selected for this particular ensemble. The first piece, Almost in G, is a small, detailed work, constantly circling about the tonality of G. At the beginning the strings of the piano are completely covered in tape, which is then gradually removed as the piece continues. By the end of the piece, it is possible to play a diatonic scale over eight strings, creating a miniature harp sound. The next piece on the album is Sextet, which is based on an early renaissance chorale. Chorale can be heard as a synthesis of the two preceding compositions, but with two soloists: an acoustic guitar, and an electric guitar. The amplification of the electric guitar is triggered by the acoustic guitar through a gate. This makes the sounds of the two instruments very homogeneous. The piano – in some way the third soloist – also triggers a pre-recorded piano. The entire work is based on an old duo piece of mine, which has been extended and orchestrated for an ensemble. Trio is the oldest composition on the album, and like Sextet and Chorale it is based on early music, though on a more abstract level. The instruments play in constant parallel movements, even though it seems an almost impossible feat. Nachtmusik is built upon a single triad figure. It is related to Almost in G, and the characteristic cuts that reappear throughout the piece are found in most of the works on the album. Being Apu Sarkar is part of my work “The Documentation,” which deals with the idea of positive cannibalism. The Piece is constructed as a ritual and works as a small, intense communion. There are several versions of the piece, which are often performed independently from “The Documentation;” for the album I, of course, chose my favourite version, in which two of the musicians play from a distant room. The Four Hyper-Realistic Songs are related to Chorale, but are even wilder and based on a complex electronic system where pre-recorded sounds of acoustic instruments are triggered only when the players produce actual sounds on the instruments.